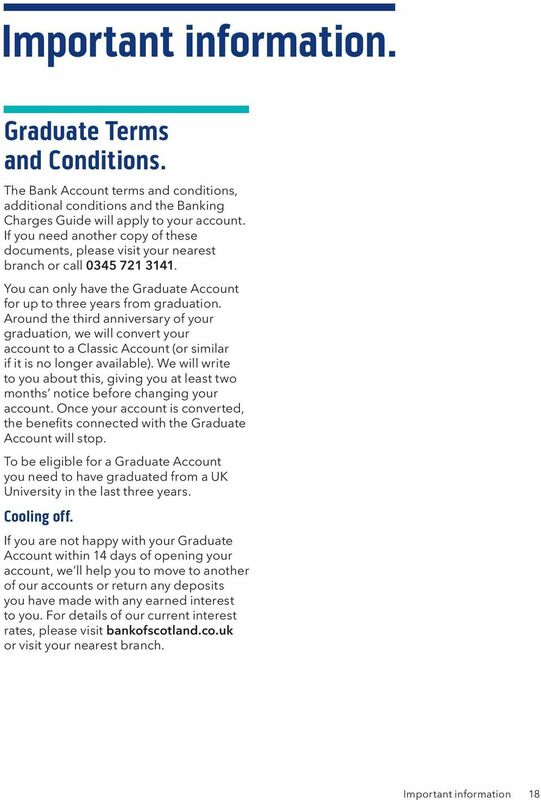 Download "Graduate Account. 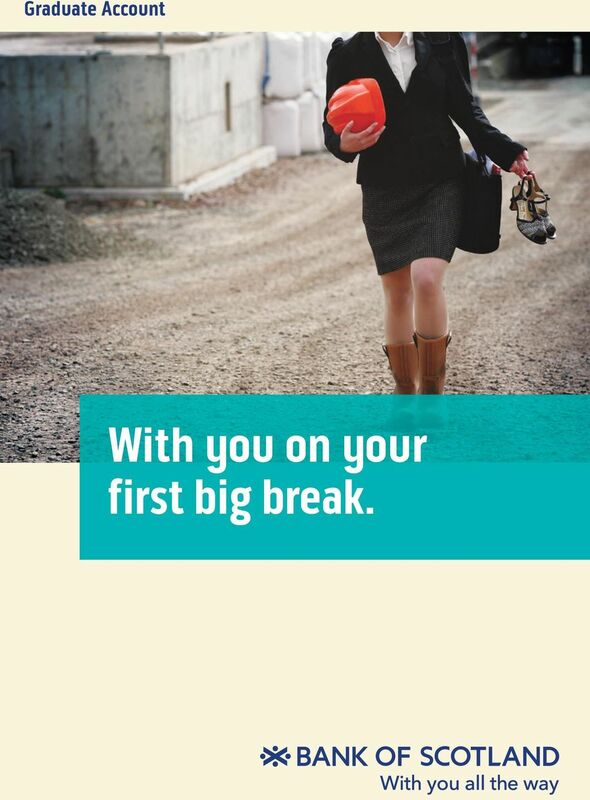 With you on your first big break." 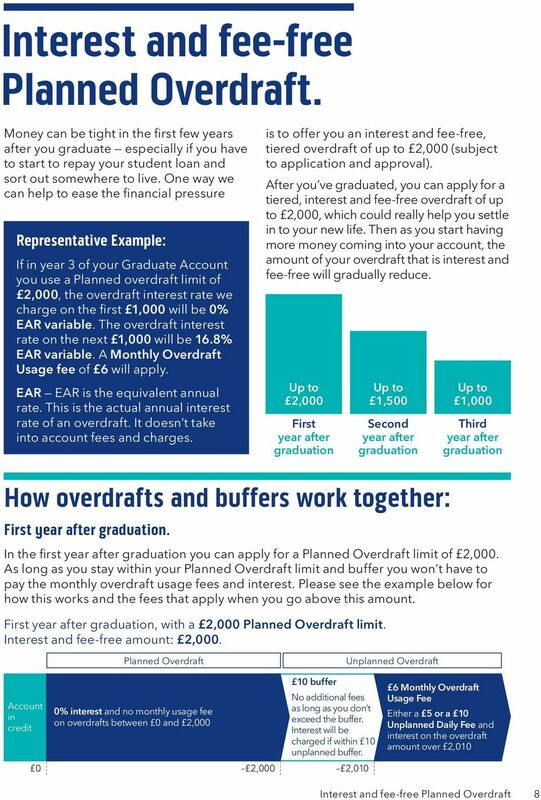 1 Graduate Account With you on your first big break. 16 What happens next? 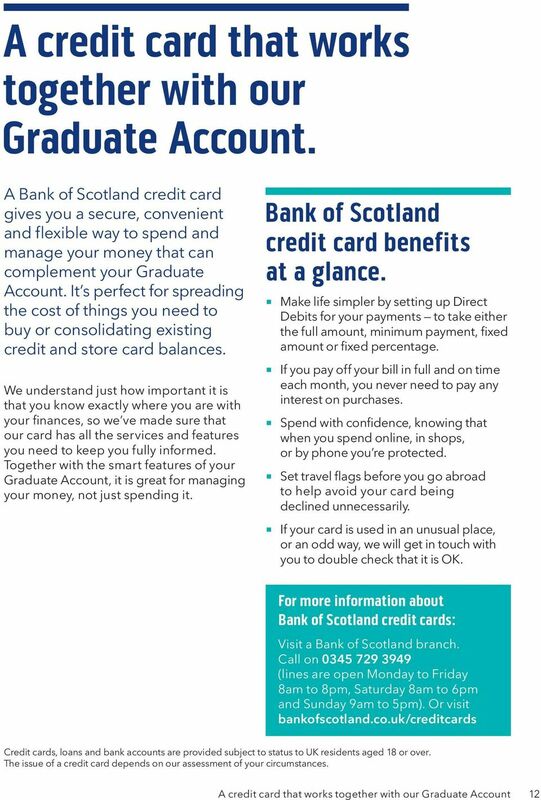 If you are a new customer: If you would like to open a Graduate Account with us, visit your local branch or call to make an appointment. Remember to take with you all the ID that is required. 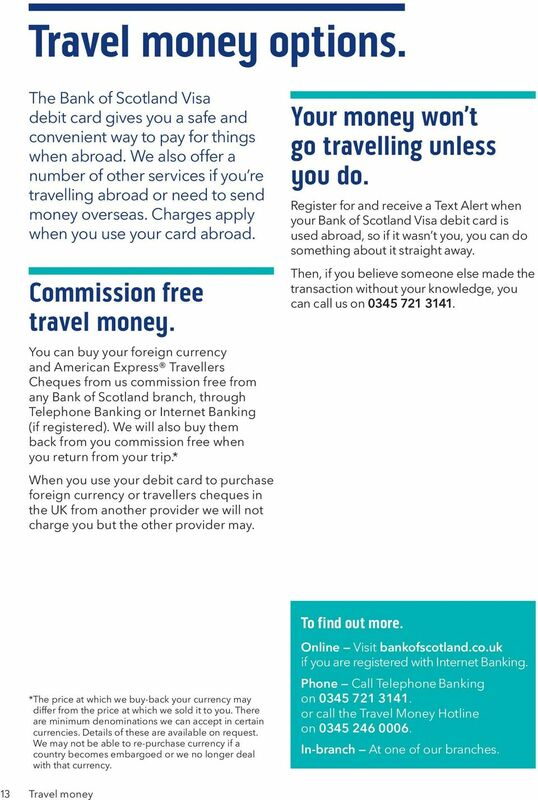 All you need is one piece of ID from the following: Current United Kingdom photo driving licence or signed passport from one of the following countries: Austria, Belgium, Denmark, Finland, France, Germany, Greece, Iceland, Ireland, Italy, Netherlands, Norway, Poland, Portugal, Spain, Sweden. Current passport with valid UK Visa issued by Australia, Canada, United States of America, New Zealand, South Africa or Japan. 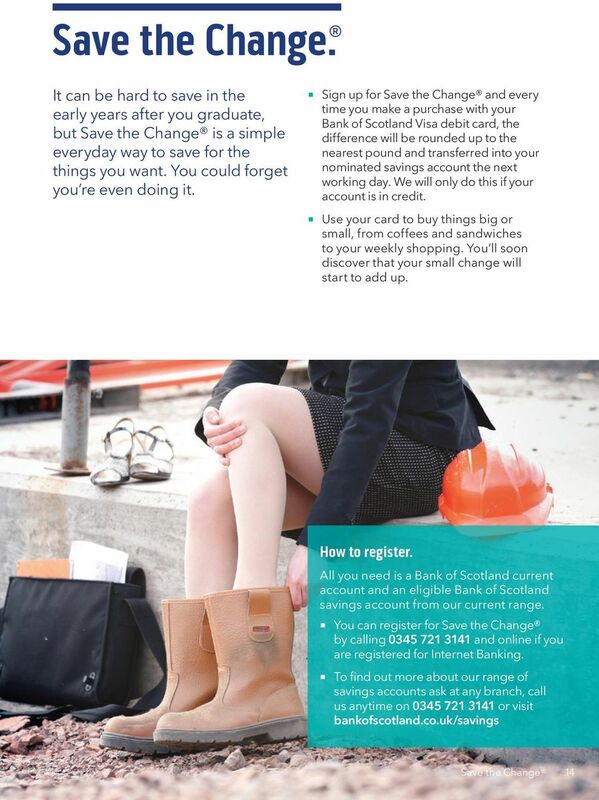 If you are an existing customer: If you re switching from a Bank of Scotland Student Account to a Bank of Scotland Graduate Account we ll send you the new details and terms and conditions two months before the account is transferred. 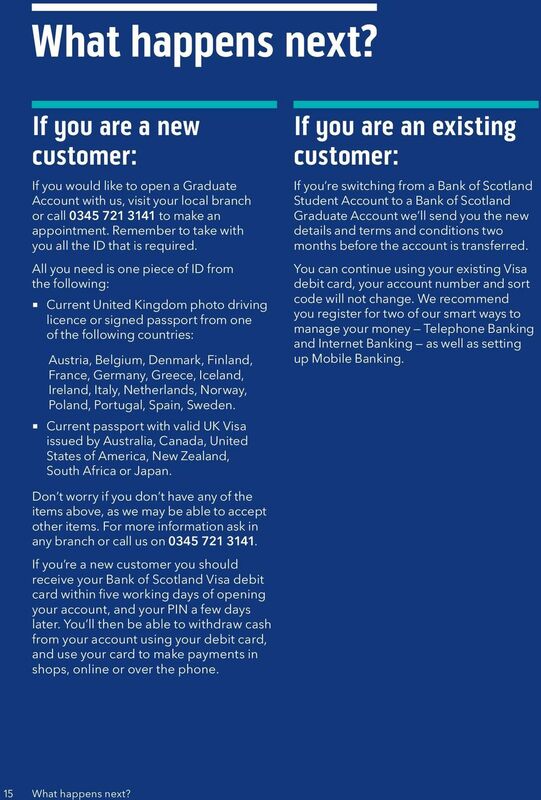 You can continue using your existing Visa debit card, your account number and sort code will not change. 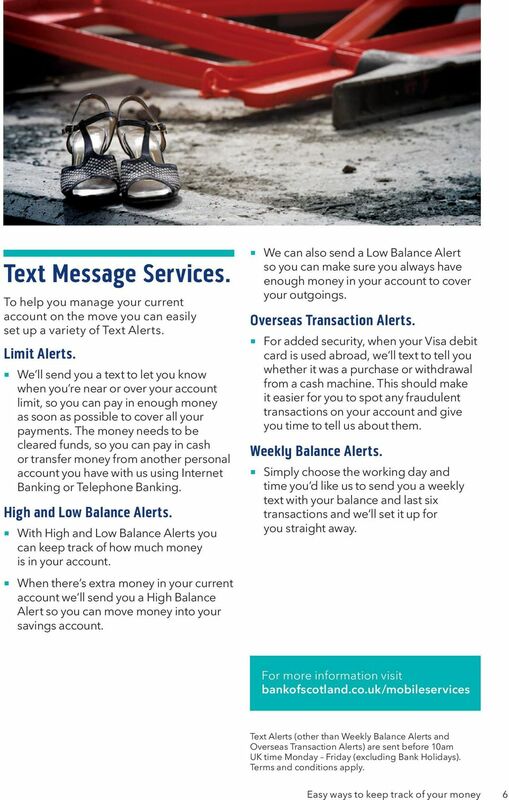 We recommend you register for two of our smart ways to manage your money Telephone Banking and Internet Banking as well as setting up Mobile Banking. 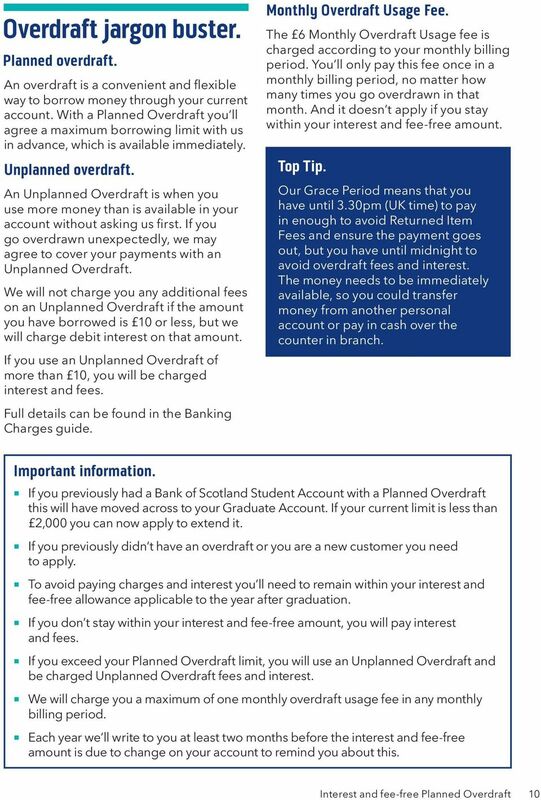 Don t worry if you don t have any of the items above, as we may be able to accept other items. 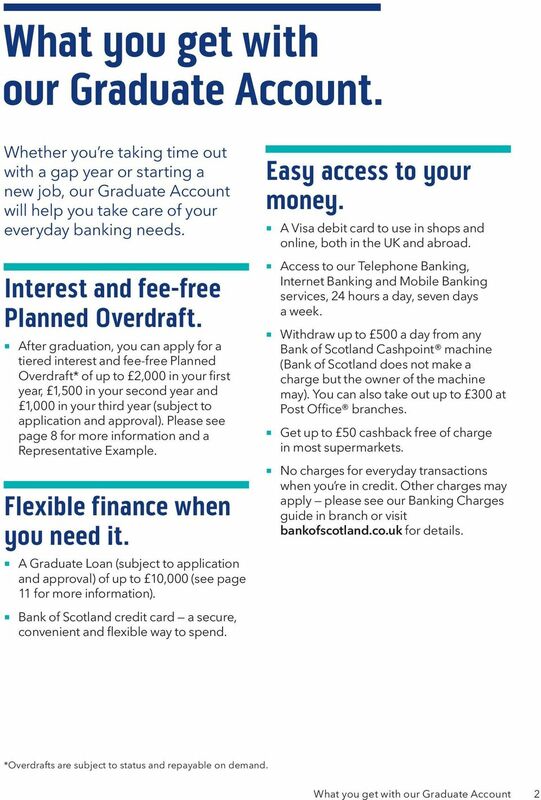 For more information ask in any branch or call us on If you re a new customer you should receive your Bank of Scotland Visa debit card within five working days of opening your account, and your PIN a few days later. 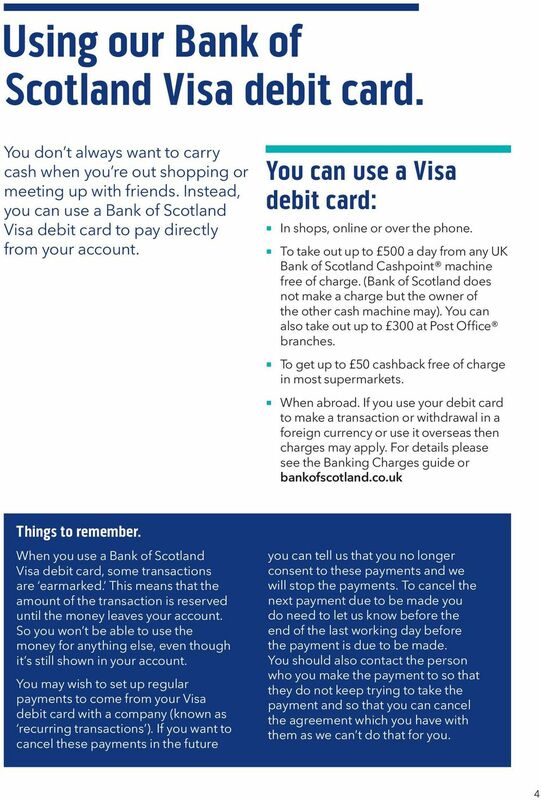 You ll then be able to withdraw cash from your account using your debit card, and use your card to make payments in shops, online or over the phone. 15 What happens next? 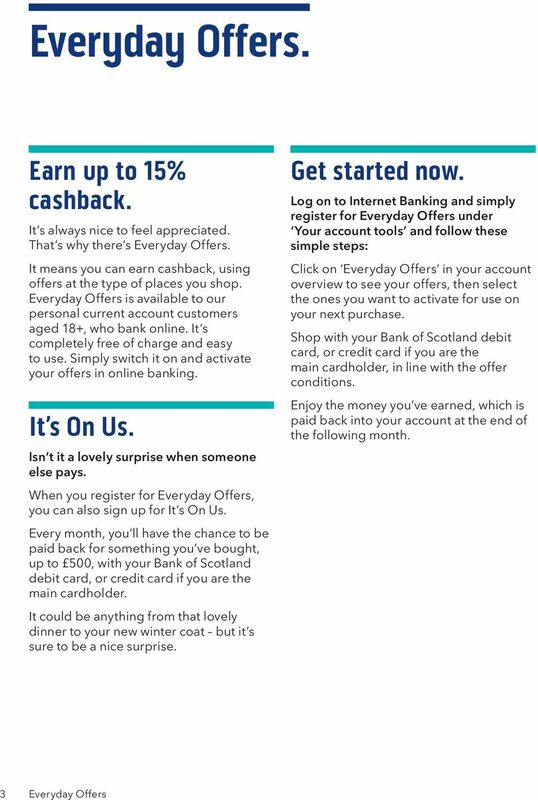 Get your money off to a good start. 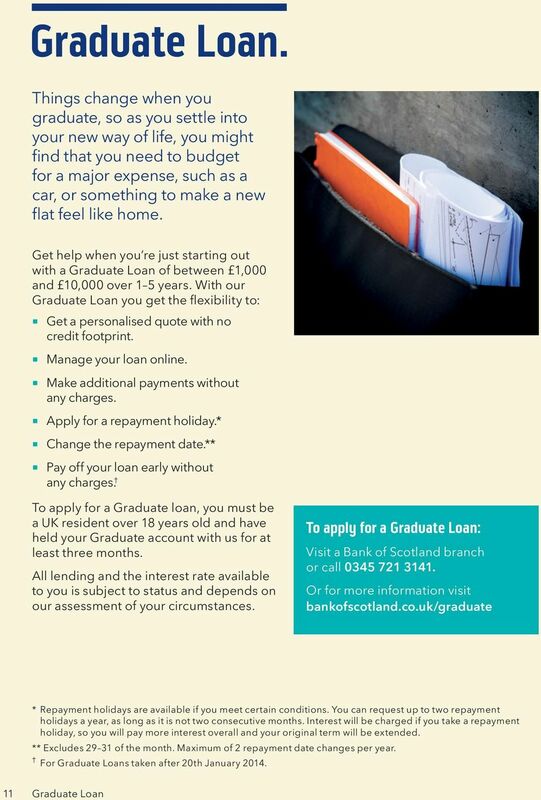 LOANS THAT ARE CLEAR AND SIMPLE. 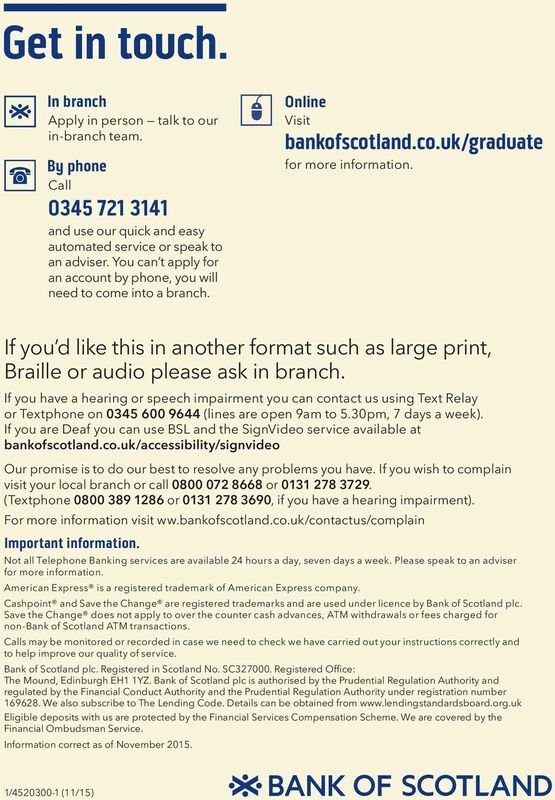 Telephone Banking for Credit Cards. Personal Information. About you. 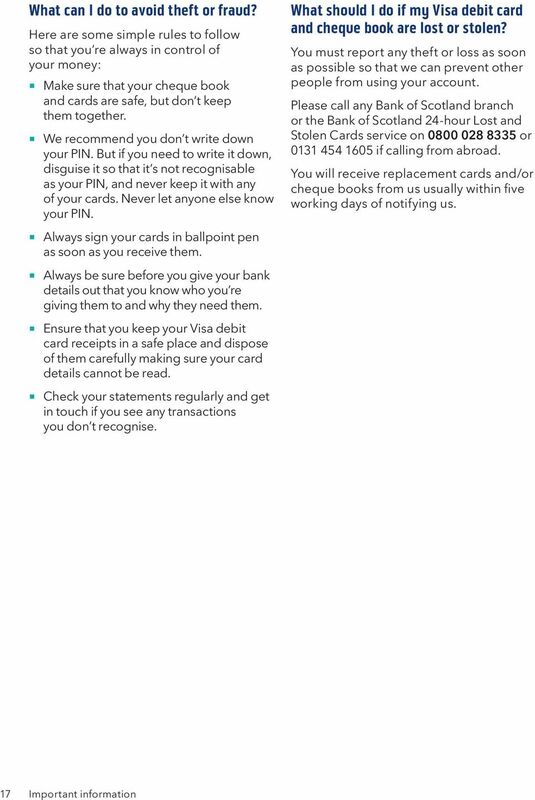 Personal information and your identity. 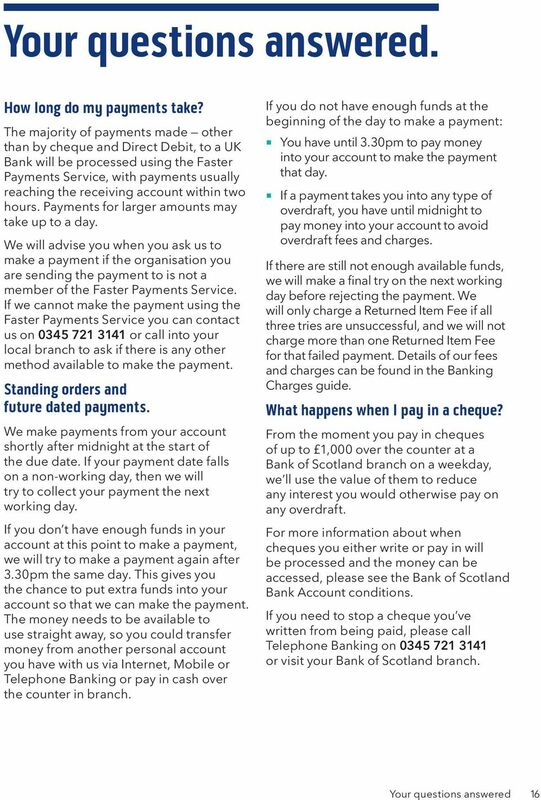 Business Banking Online Payment Control. 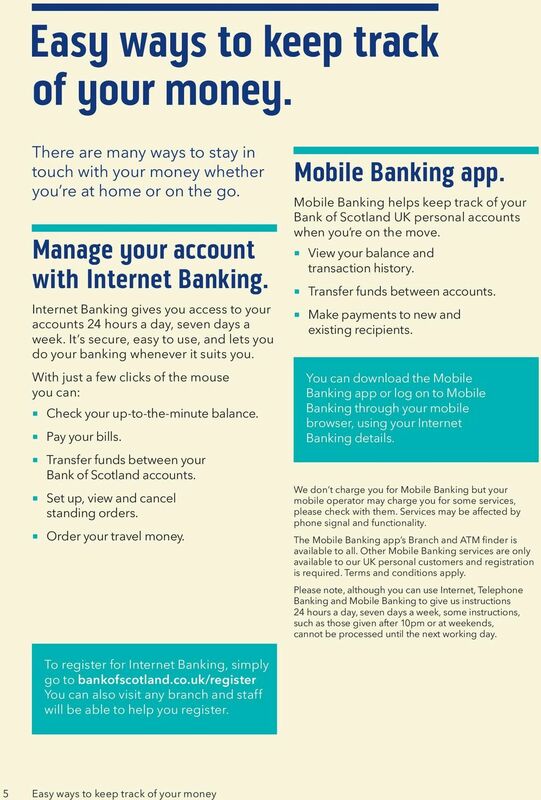 More ways to manage your Business Internet Banking. 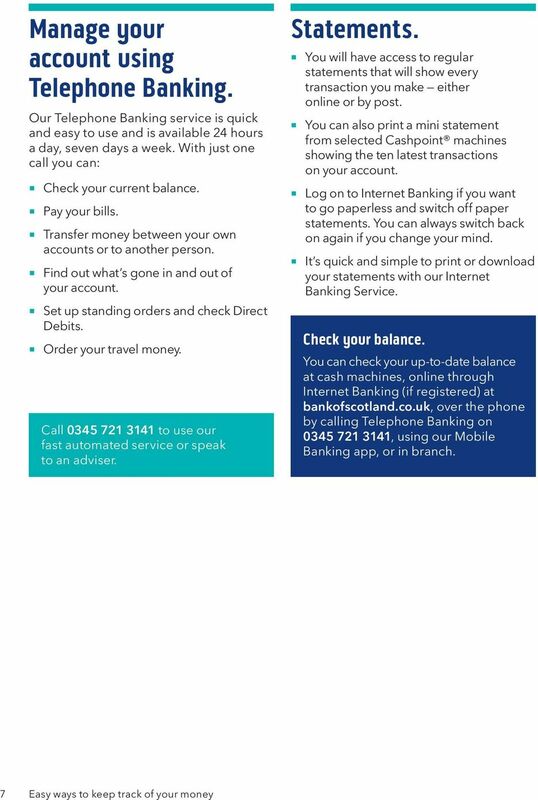 Online Payment Control service gives you greater control making payments through Business Internet Banking. Silver Account. 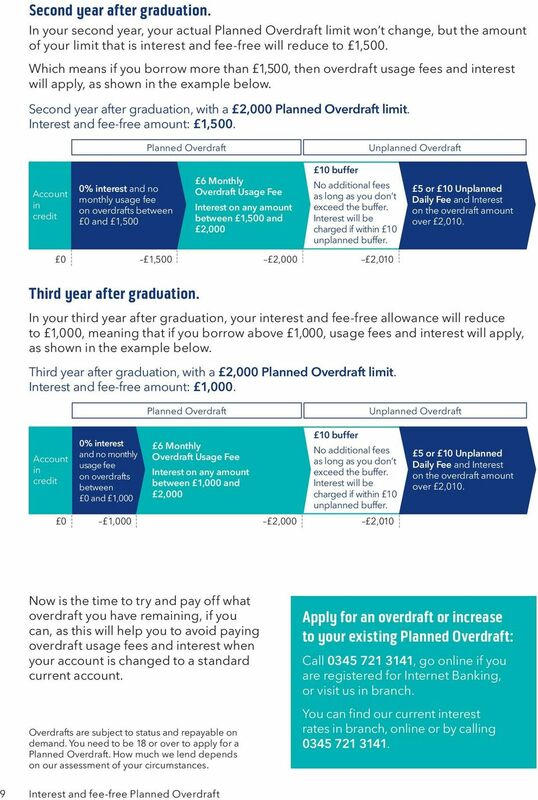 A guide to all your Silver Account benefits.